UPDATE: Crazy last hour discounts! 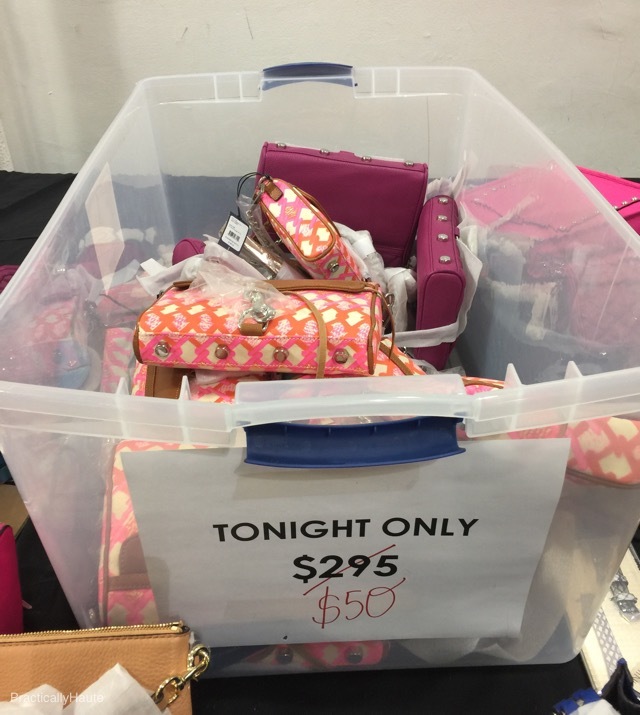 $40 bags, $20 shoes, $10 clothes! 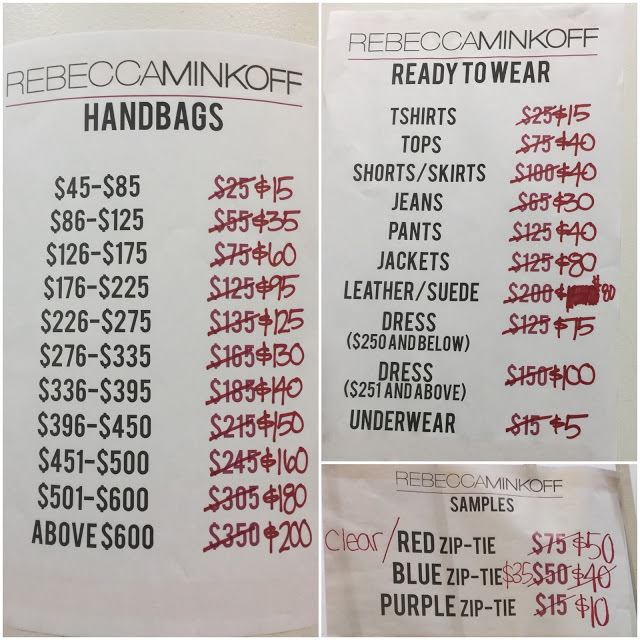 Rebecca Minkoff‘s sample sales are always a huge hit among shoppers. 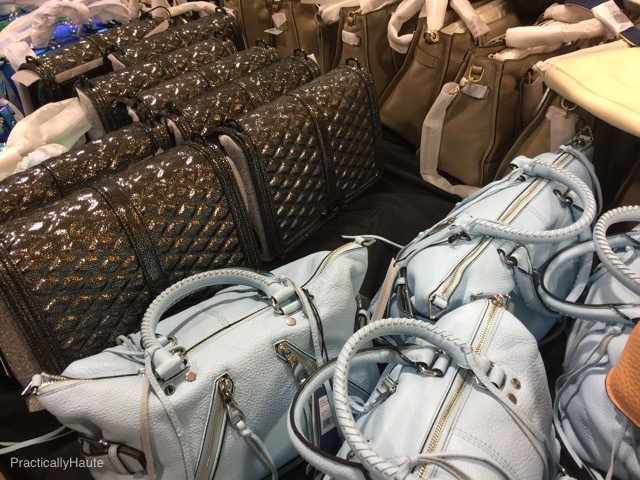 Her popular trendy styles attract droves of devoted fans who are willing to battle it out (if need be) to score their favorite bags for a fraction of retail price. 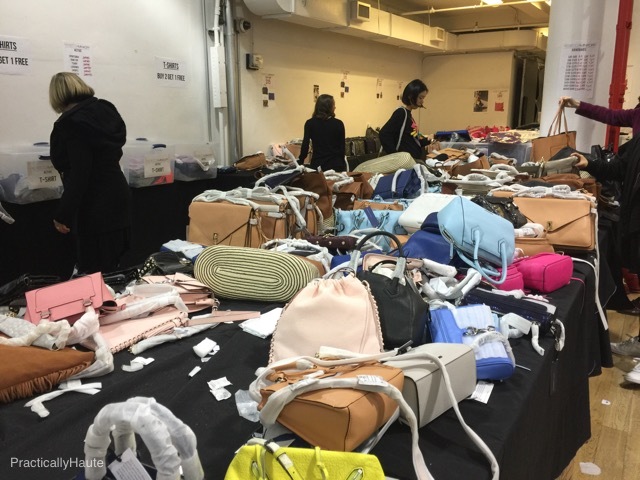 This week’s sale has been much tamer than recent years but that’s not to say the venue didn’t look like a battlefield of strewn out handbags. The sale ends today so I will keep things short and to the point! I dropped by last evening, just a few minutes before closing time. 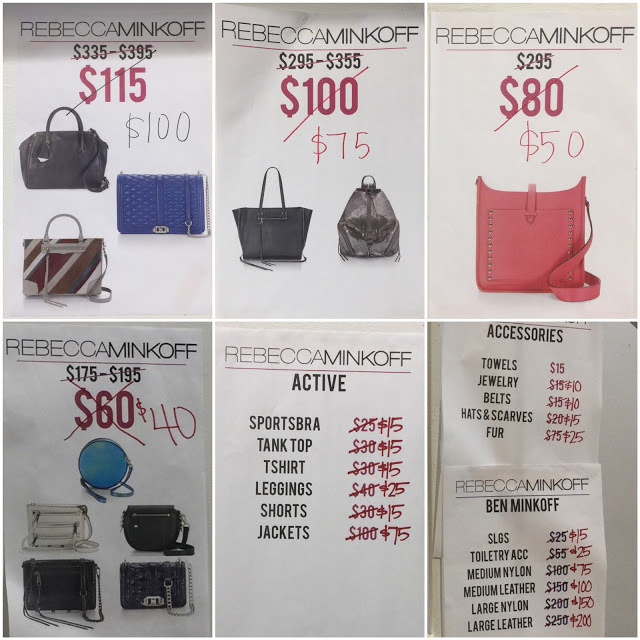 There were additional markdowns as of Friday morning that now bring discounts into 75%-80% territory for most stock bags. Please scroll down to the bottom of this post for full pricelists. Certain styles and colors have their own special pricing. 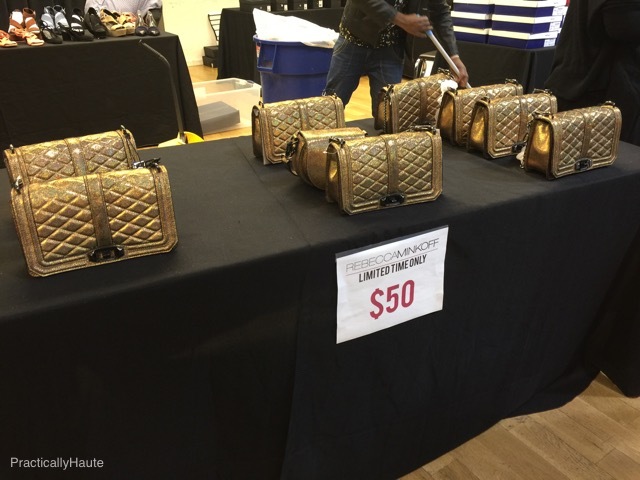 For instance a jumbo Quilted Love in gold is now only $50 (retail $365), they had other colors for $100 but those were sold out when I got there. 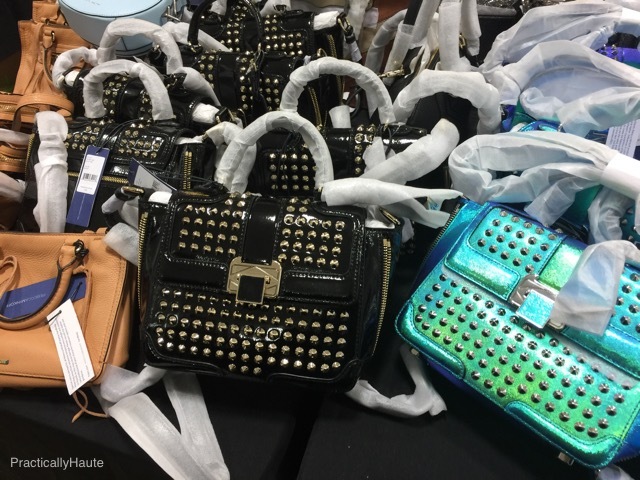 Mini Love was just $40 along with woven Mini M.A.C., Circle Bag in neon blue, and 5-Zip Mini. Fringed Finns were down to $50 along with the studded Feed bags. 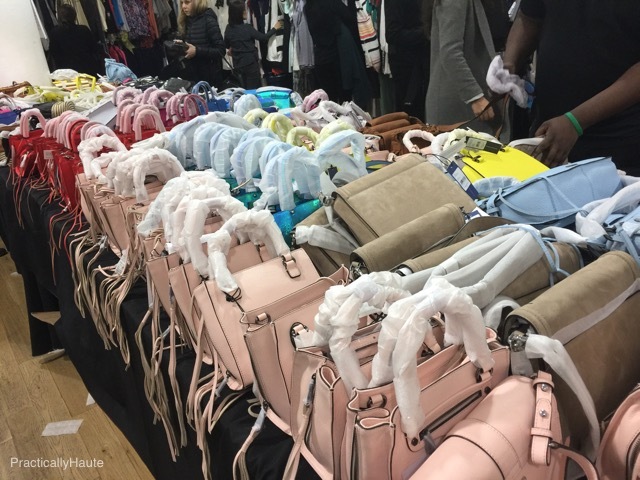 Julian Backpacks and Always On leather totes were $75. 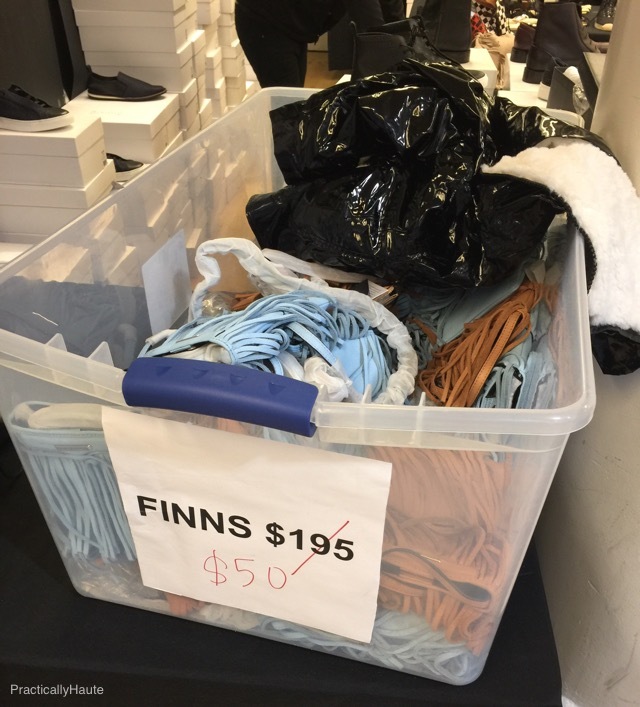 The samples were down to $10 for purple zip ties, $35 blue, and $50 red/clear but there was barely anything left save for a few dirty and damaged styles. Stick to the specially marked tables and overstock. 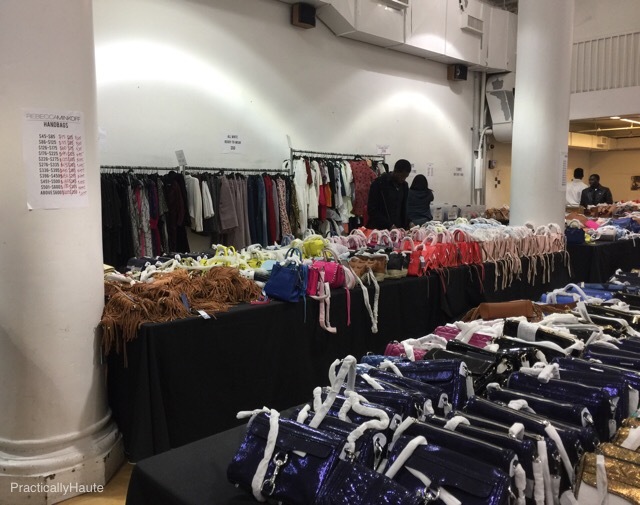 Despite the continuous crowds and people leaving with several shopping bags full of purses there was still plenty of stock. 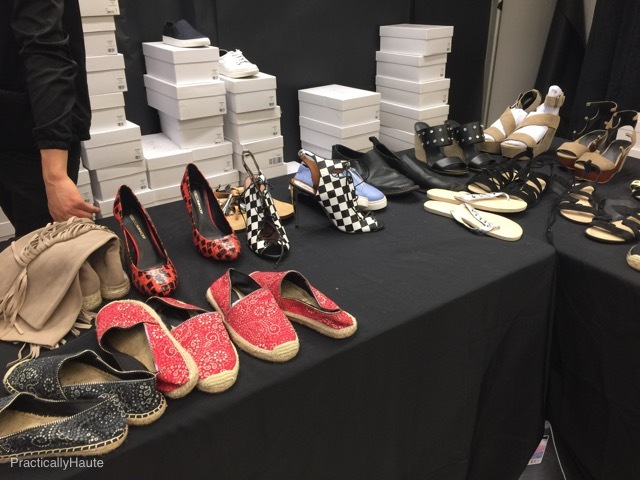 Loves, M.A.C.s, M.A.B.s, Affairs, there were lots of styles left for you to shop. 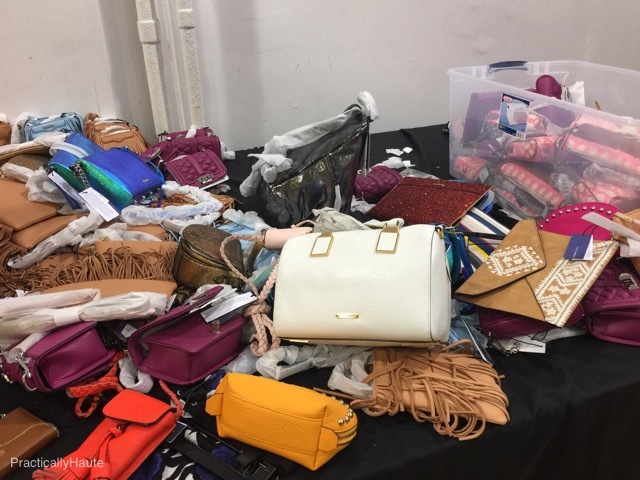 Small accessories like iPhone cases, pouches, and watch straps along with small leather goods were mostly $10. I linked up a few styles that I spotted at the venue. 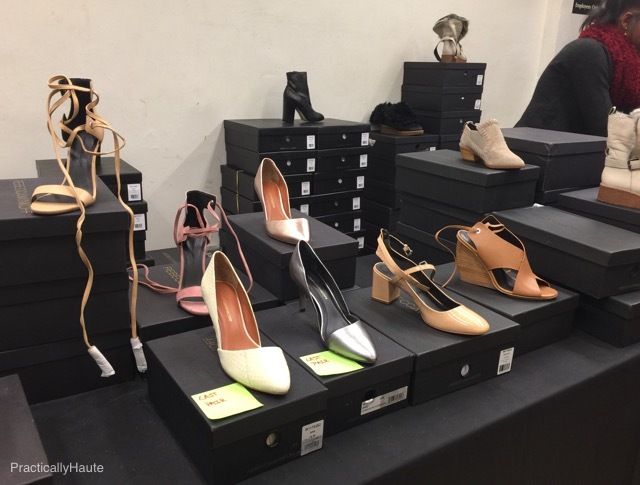 All the way in the back you’ll find a decent selection of shoes with prices now at $40 for all categories except boots, which are now $60 and your best deal at the sale. 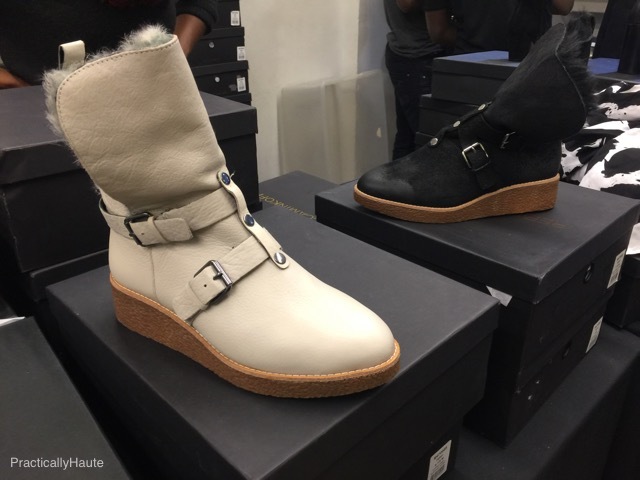 Fur lined Perry Buckle Boots available in black or white are a great find for the winter season and there were still a lot of sizes left as of last night. 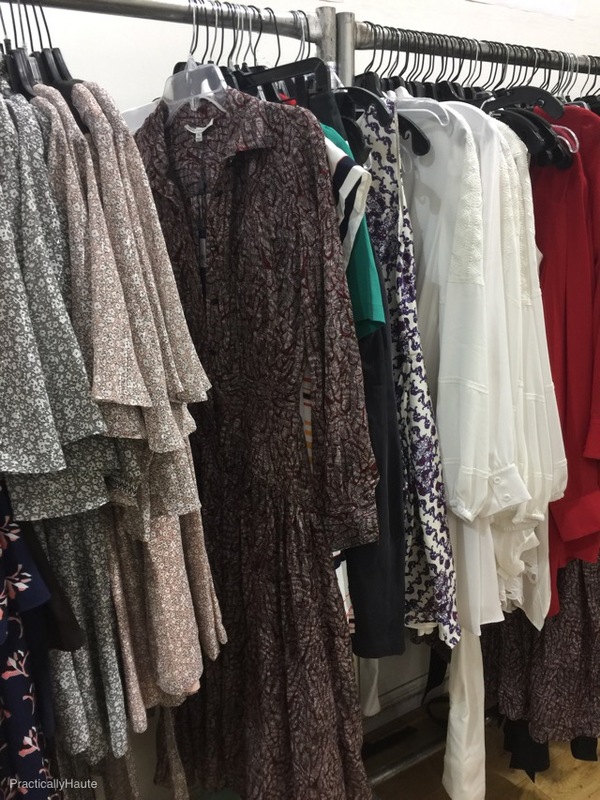 The clothes was located in the front by the coat check. 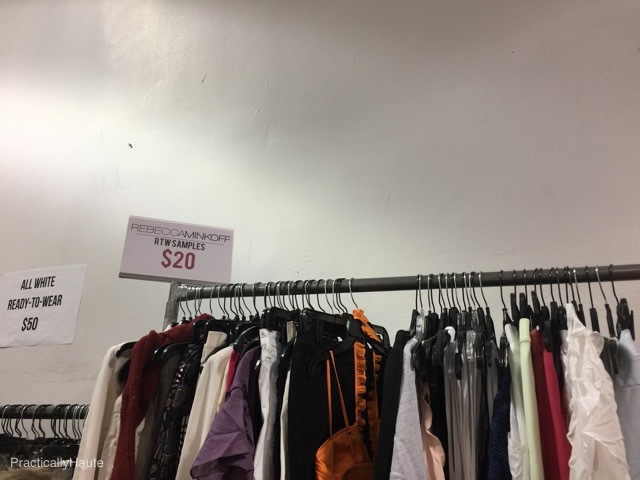 Samples were now $20 and sample jackets $50. 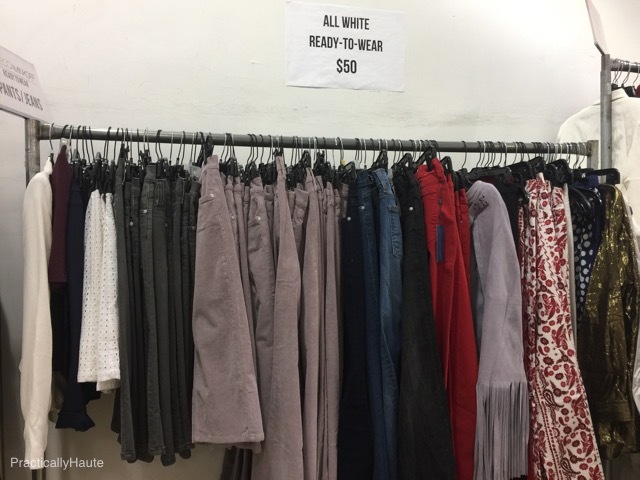 All white RTW was also $50. 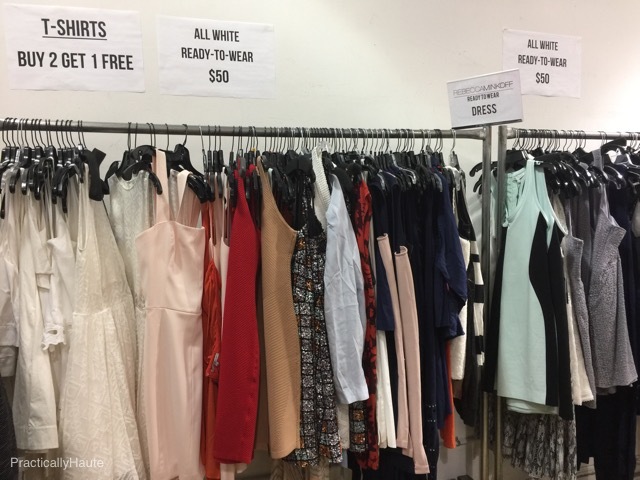 Otherwise prices started at $15 for t-shirts (or buy 2 get 1 free), and went up to $75 for dresses. 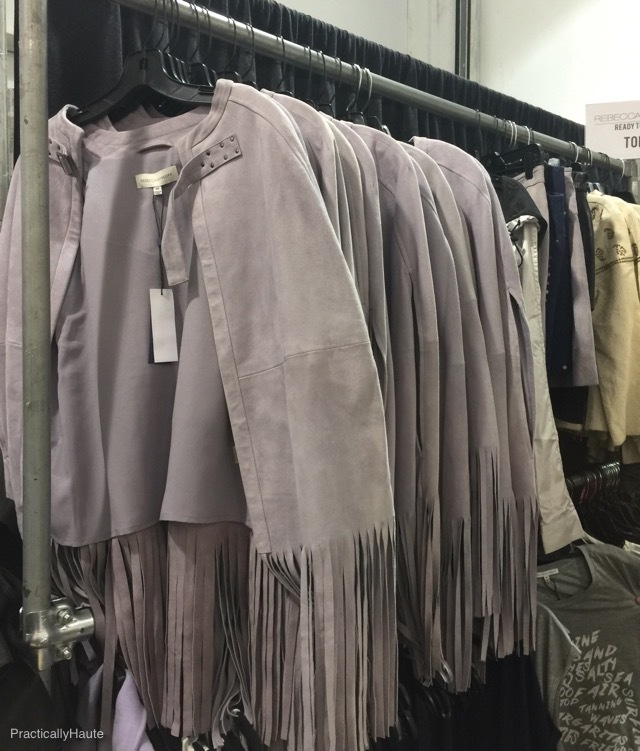 Leather and suede was only $80 but there wasn’t much left except for a few studded suede skirts and a grey fringe cape. 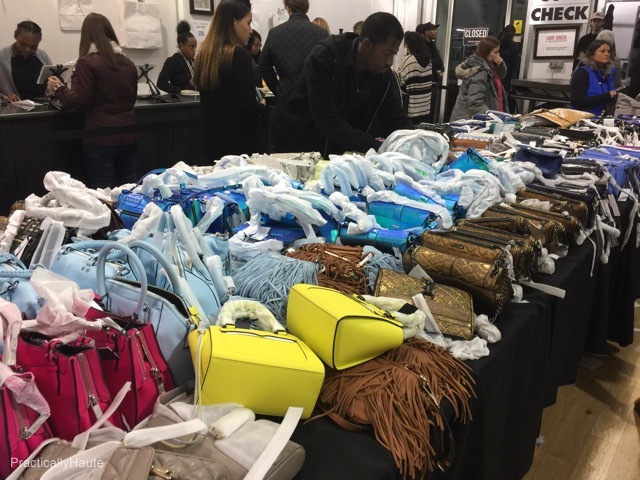 The rest of the clothes might be worth a quick glance but you’re better off sticking to boots and handbags. There were boxes with athletic wear but again pretty picked over at this point. I didn’t see any jewelry, towels, or other accessories. 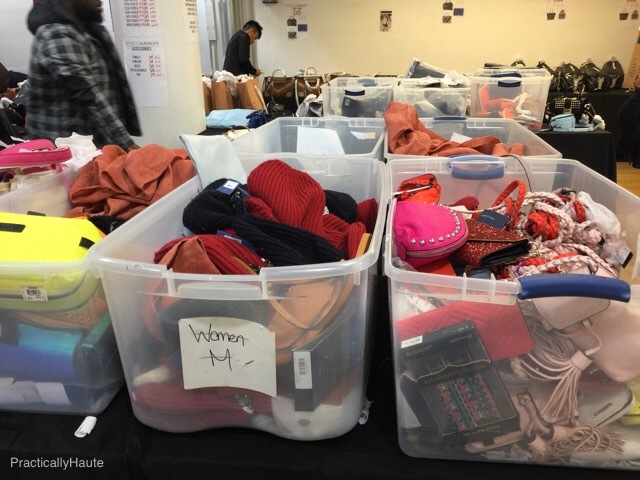 There were some hats in boxes next to the wallets and phone cases. 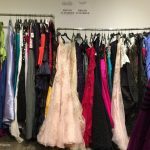 Get Your Oscar Worthy Gowns!